Use the NOT operator ! to indicate an inverted condition (i.e. true becomes false, false becomes true). NOTE: In the example above, the while loop continues while the brain's screen is NOT pressed. 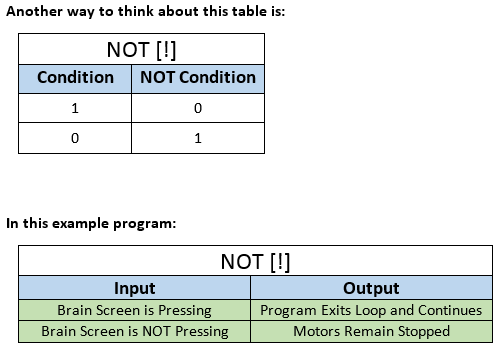 If/when the screen is pressed, the program exits the loop and carries out the subsequent commands for displaying text and moving forward. 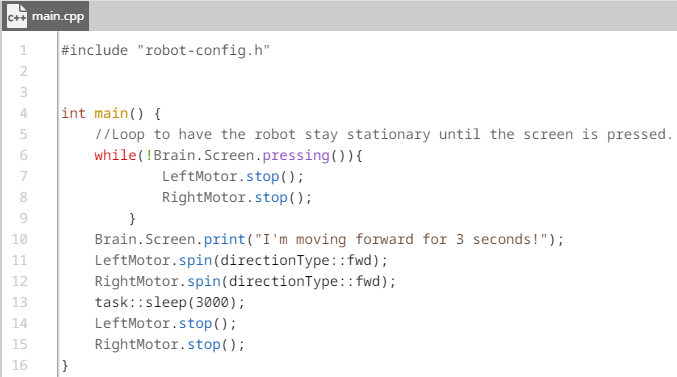 //Loop to have the robot stay stationary until the screen is pressed.